I was not aware that the sound filling the afternoons of my childhood was so full of compass. Keys at the end, from a typewriter or a piano, that have made us enjoy with their union through a theme full of swing and magic. La máquina y el tiempo is another example of the odd creations of David Peña Dorantes, who is able to turn an occurrence into a transcendent work, as difficult to label as his music. One hears that catchy rattle and sees the head searching of the Machados, Albertis, Lorcas or Felix Grande, who have also composed "their music" by a keyboard blow to make our flamenco bigger and more intelligible. The easy thing (and necessary) is to resort to the genes when referring to Dorantes. Nothing has been more determining in his career than the family where he was born. The Pinini, the Perrata, the Lebrijano, Pedro Bacán or Pedro Peña are not invented names. He was in front of the house with a huge musical garden and escaped through the back door to an unknown wasteland. There he sought to be different for the whole culture, because the ancient pianos of Jose Romero and Arturo Pavón were valid references but far from his horizon. Today, in addition to his privileged blood, it will be unfair not to emphasize his effort (his rebellion?) to twist the roads and build a monument for the flamenco: his piano. 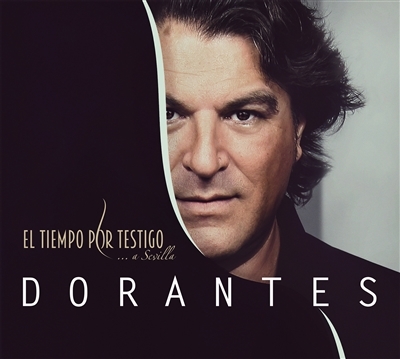 In 20 years of career, it is possible to imagine many afternoons of listeners standing up but also of hours of silent work and incomprehension to become one of the most moving artists of the Spanish music. Let’s go for many years more. Do not stop the music.